The former City of Northcote electrical substation in Pender Street, Thornbury is a cream and manganese brick pavilion in the Moderne style. The building is situated on the axis of Pender Street, west of Archibold Street, and closes the vista along the street. The substation has a raised central section, which has a small hipped roof and sides clad in weatherboards. The east elevation, which faces down Pender Street has a circular insignia with what is most probably the former City of Northcote emblem. Below this, recessed into the wall, is a drinking fountain. The landscaping and paving in the forecourt are not significant. 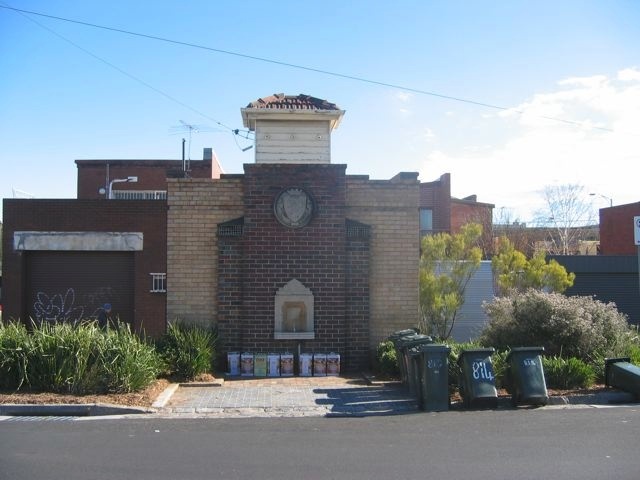 The electricity substation at Pender Street, Thornbury is of local historic and aesthetic significance to Darebin City. A cream and manganese brick pavilion in the Moderne style containing an electrical substation. The building is situated on the axis of Pender Street, west of Archibold Street, and closes the vista along the street. The substation has a raised central section, which has a small hipped roof and sides clad in weatherboards. The east elevation, which faces down Pender Street has a circular insignia with what is most probably the former City of Northcote emblem. Below this, recessed into the wall, is a drinking fountain. The landscaping and paving to the forecourt are later additions.